We’ve been lucky enough to review a fair amount of Wahl’s at-home trimmers. After over 90 years of being a successful, family owned business, Wahl is still one of the very top brands in the barbering market. They have catered to professional barbers almost all their life, and since the 1980’s, they have been a favorite in the homes of many consumers (like you) as well. There is absolutely no flash when it comes to Wahl’s products. They do their job and they do it well. You won’t find fancy ‘power’ buttons or LCD displays, but you will find extremely high end products that cut through your facial hair like its nothing. Wahl had had many innovations over the years, starting out with their electromagnetic motor they used in some of their first models. They developed the first practical clipper with the drive motor in unit itself, rather than connected to a separate motor through a flexible shaft. They sold thousands of these throughout the United States in the early 1900’s. They continued through the years to create a flexible bladed electric razor, and even as early as the 1965 they had introduced a clipper with a vacuum to pick up falling hairs. Wahl was also the first to introduce a cordless, battery-powered, rechargeable unit that was then only marketed to professional barbers. Only a few years later in 1971, this cordless, rechargeable type unit was marketed to at-home users and became wildly popular. Even to this day, the separation of professional and consumer products definitely hasn’t stopped consumers from picking up the latest heavy duty barbering clippers. A favorite in and out of the barber shop has been their classic “Peanut” model. A little whimsical, yes, but the small size and peanut shaped body is definitely compensated for by the powerful motor and extreme ease of use. Wahl has also come to create a ton of very affordable at-home models like the 79300 Color Pro and the 5537-1801 Cordless unit with more attachments than you can imagine. Though they have given the option or numerous attachments in some of their units, they don’t go crazy with unnecessary extras in the actual unit itself. All the attachments offer is a wider range of use for all sorts of customers with any style or length of hair or beard. You can be sure that you’re getting the highest quality, fluff-free trimmers and shaver when you buy a Wahl. If you want to see what else is out there, or Wahl doesn’t tickle your fancy, check out our other reviews here. 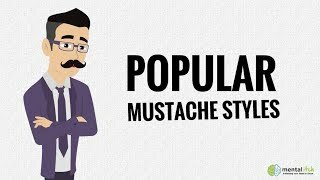 All About Beards and Mustaches!